I would like to invite you to sign up for my Special Alerts so that I can make sure you are the first to know about new white papers, workshops, and videos about IT Simplification. And I have a special gift for you, just for signing up. This is a Complexity Puzzle that that I have designed to demonstrate in a fun way three different impediments to IT Simplification. Print out the puzzle and use it as an opener for your next meeting. You will be very surprised at the results! Sign up with MailChimp, and I'll immediately send you an email with a link to the puzzle. Roger Sessions is the world's leading expert in IT Complexity Analytics. He has been interviewed by ComputerWorld, CIO, Information Age, and Information Week, among others, and is often quoted by Gartner and other industry pundits.For more than a decade, his books and white papers have defined the field of IT Complexity Analytics. He has been honored as a Fellow of the International Association of Software Architects for his many contributions to the field. His SIP methodology is the gold standard for Complexity Management, and is the only approach to simplification that has ever been granted a U.S. patent. IT security is in a crisis state. Major security breaches are now everyday occurrences. Many of these breaches are occurring at companies that employ the most advanced security products available. What is the problem? We believe the problem is application architecture. We are designing applications that are inherently insecure. An insecure application cannot be made secure by throwing security infrastructure on top. We need to rethink our application architectures. This paper presents a new approach to application architecture called The Armored Snowman Architecture that delivers highly secure IT systems. The paper contrasts this architecture with traditional architectures in all four of the major types of security breaches. Until we rethink how we are designing our most mission critical systems, the security nightmare that we are now in the middle of will continue. This paper shows what must be done differently. "A thoroughly readable and very enjoyable paper." 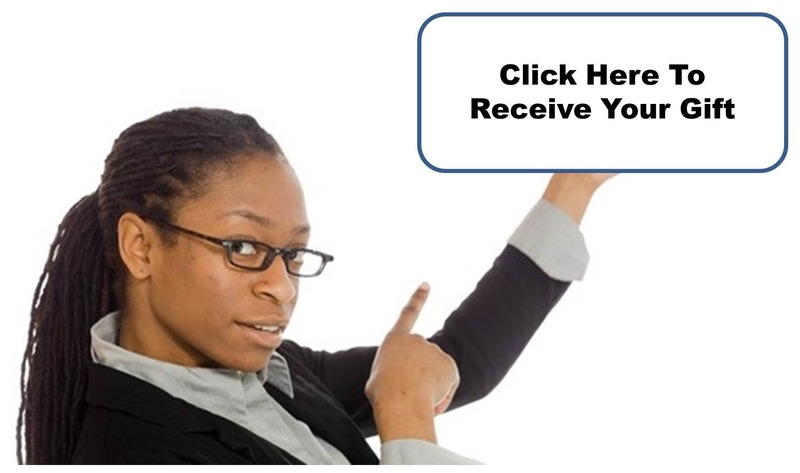 "The content is very good and I appreciate the information you have shared over the years." "I have really enjoyed reading this, it is very good." "I found it very interesting and found myself vowing to spend more time getting caught up on your SIP work. I have both the Software Fortresses book and the Simple Architectures book. I think you’re not just following the herd. That is very important and difficult, and it's one thing that distinguishes you and has done so for a long time." "I am intrigued with your architecture approach using the Snowman concept. The armed snowman is no exception." "This was a really interesting read and I am keen to see how organizations apply the snowman." "There is way too much FUD in the EA world and, as you allude to, security is lagging behind and needs drastic behavior and culture change at senior levels." "I appreciated the compare/contrast approach between traditional architectures and The Armored Snowman Architecture, I found this extremely helpful to visualize a traditional approach compared to the SIP approach." "Your contribution to the art of Software Architecture is much needed, appreciated and respected." You can download the white paper <here>. And don't forget to subscribe to new paper alerts <here>. Models to understand IT complexity. Metrics to quantify IT complexity. Methodologies to eliminate IT complexity. IT complexity is a serious problem that is costing the world economy trillions of dollars each year. We discussed this problem in our White Paper,The IT Complexity Crisis. Continue reading to see some of the reasons complexity is such an expensive problem for the IT industry and how we can help you eliminate this unnecessary drain on your ROI. As an IT system get bigger, it gets more complex. And as the system gets more complex, it gets more expensive to build and maintain. This much is obvious. What is not so obvious is the relationship between system size and system cost. This relationship changes markedly depending on whether or not one is using Complexity Analytics. For example, consider using the most common architectural approach, that of a service oriented architecture (SOA). The cost of building a service oriented architecture starts out very low and grows exponentially. On the other hand, consider using our approach, SIP. SIP is basically SOA + Complexity Analytics. The cost of building a SIP architecture starts out higher (because of the added cost of the Complexity Analytics) and then grows linearly. So are you better off starting out with a low cost and watching the cost increase exponentially (SOA approach) or are you better off starting out with a higher cost and watching the cost increase linerarly (SIP approach)? As the table above shows, for small systems (under about 30 business functions) Complexity Analytics costs more than it saves. Once the system size reaches around 30 business functions (or about $500K), Complexity Analytics starts to pay off. By the time the system size reaches around 40 business functions, Complexity Analytics is driving substantial cost savings. And by the time the system size reaches around 100 business functions, the cost differential is so great that it is inconceivable that one would not incorporate Complexity Analytics into the design process. Not only are complex IT systems expensive to build and maintain (see the last slider) they are also notoriously unreliable. Complexity causes systems to fail more often, to fail for longer periods of time, and for the failures to spread further. The following figure compares the reliability of a traditional IT architecture against one designed using SIP and its advanced Complexity Analytics capability. We are in a security crisis. In recent months we have seen wholesale credit card thefts become a daily staple of the news, cyberattacks paralyze Sony, data breaches effecting more than 70 million customers at JP Morgan Chase, and what can only be considered a cyber-catastrophe at Anthem resulting in the exposure of the most personal and sensitive information for 80 million customers. These companies employ the most advanced security infrastructures available designed by the most knowledgeable security specialists in the world. Yet despite their best efforts, they were woefully unprepared to resist, detect, contain, or recover from their respective cyberattacks. What went wrong? These companies, like many, relied on highly secure infrastructures to protect inherently unsecurable application architectures. The reasons these applications are unsecurable is because of their complexity. SIP solves this problem by eliminating unnecessary complexity resulting in highly secure architectures. 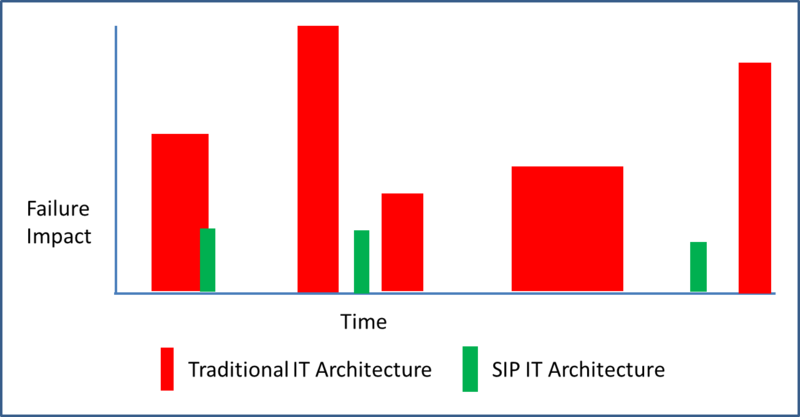 Compare the traditional IT architecture and one driven by SIP, which incorporates the most advanced Complexity Analytics algorithms in the world. Read more about how Complexity Analytics can make your systems more secure in our upcoming White Paper Unbreakable: Architecting Highly Secure IT Systems. Watch here for details. Analyze existing systems and plan cost effective strategies for reducing complexity. Review proposed architectural designs and identify complexity traps before they become baked into the implementation. Create an effective Complexity Management Initiative to ensure that unnecessary complexity no longer plagues your systems. Architect new systems so that they are as reliable, secure, and cost effective as possible. Complexity is you enemy. When it comes to managing complexity through the power of Complexity Analytics, we are your one stop solution. If you understand the mathematics of IT simplification, you know the SIP algorithms for driving simplicity and the SIP metrics for measuring complexity are the only mathematically grounded approaches to dealing with complexity that exist today. Because of this, both our algorithms and our metrics are protected by a very strong U.S. patent (U.S. Patent 7,756,735) Use of these algorithms and/or metrics by any organization without a license is a violation of U.S. Patent Law and is just plain wrong. But an ITSI license gives you unlimited access to these valuable algorithms and metrics for any project within your organization. If you throw in our ITSI training package, you have a cost effective way to train people in using these algorithms and metrics to their maximum advantage. Add in our consulting package, and we guide you every step of the way.